MEKENI FOOD CORP. recently launched “Mekeni BreakFestival”, an advocacy to bring family members together by sharing through breakfast. 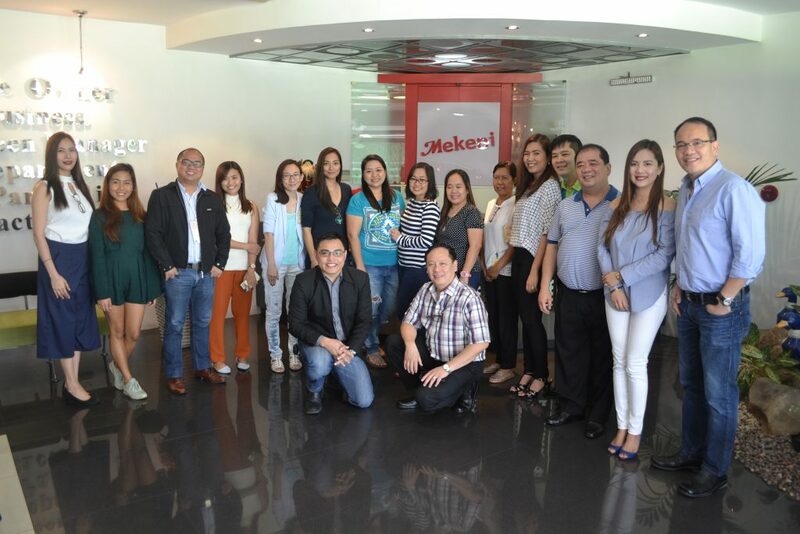 During the launching which was attended by local media and bloggers, Mekeni President Pruds Garcia, noted the corporation aims to promote breakfast as a great way to have a healthier family relationship. He said that with Mekeni’s easy to prepare food products like Hotdog, Tocino, Longganisa, Ham and Bacon, preparing breakfast will be hassle-free. “With our products, children and their parents will enjoy eating breakfast and kids will learn the value of togetherness, especially at the start of the day,” he said. Garcia also shared that Mekeni is a family-oriented business that always strive for excellence as part of their business ethic and habit in serving Filipino families with quality food products that is world class and of high standards. He proudly said that Mekeni is the first recipient of ISO 22000 – Food Safety Management System (FSMS) Certified Meat Plant in Asia and in the Philippines, and second in the World. Mekeni is also Halal Certified and is present not only in United Arabs Emirates, but also in Qatar, Kuwait, and Saudi Arabia. The multi-awarded meat processing company which gotten hold of global food safety seal Hazard Analysis Critical Control Point (HACCP) have also started exporting in Japan. He said that as they improve their presence in abroad, it will help OFW’s realize that there is hope and future in the country. Garcia also said that helping their kababayans is their family’s way of giving back to the community.